Mountain diary - Sometimes you have to leave home to find it. Sometimes you have to leave home to find it. 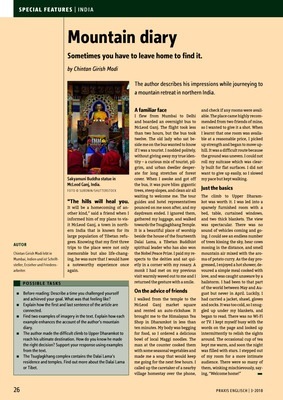 The author describes his impressions while journeying to a mountain retreat in northern India.